The New York Croquet Club is an organization of players devoted to the sport of croquet. 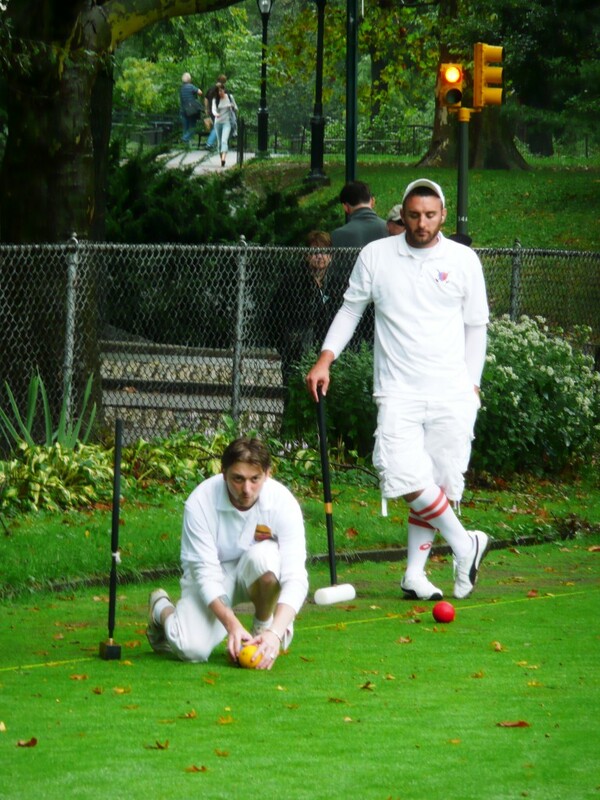 Located in Central Park, NYCC invites everyone interested in croquet to join the club. We play 6-wicket croquet at the NYCC, usually American (USCA), but also Golf Croquet and Association (International) Rules. The playing season opens in May and runs into October. We offer free clinics weekly to introduce techniques and the games to the public. Guests may play for free twice a season, accompanied by a current member, in good standing. The New York Croquet Club is a founding club of the United States Croquet Association.